Embracing the past to create the future. Those are the words that Minnesota football coach P.J. Fleck has used time and again in the 13 months he has led the Maroon and Gold. Today, those words – that mantra – took shape as the Gophers unveiled their new H.Y.P.R.R. ELITE uniforms for the 2018 season and beyond. It’s Row The Boat meets Ski-U-Mah and the results are a bold – yet understated sophistication – for the Minnesota football team. 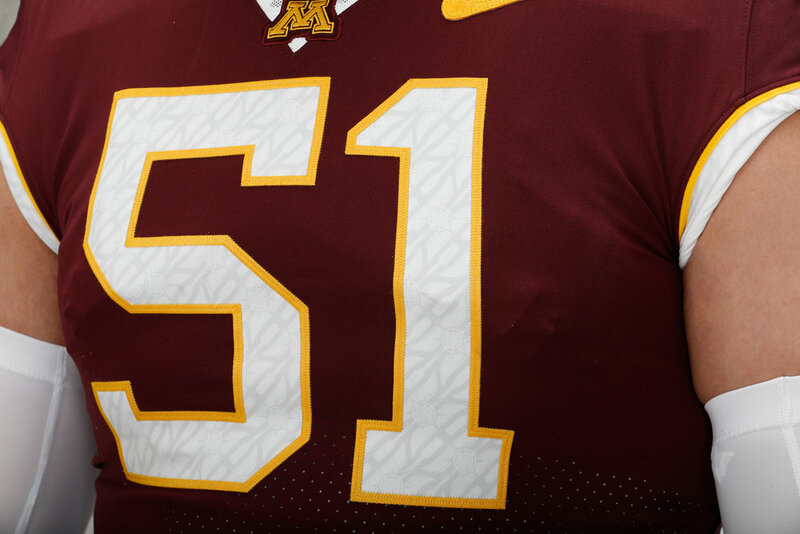 Minnesota will have more than 100 possible uniform combinations next season, but will stay true to tradition. The Gophers introduced three new jerseys (Maroon, White and Anthracite), three helmets (Maroon, White and Gold) and four pairs of pants (Maroon, White, Gold and Anthracite) to choose from next season in addition to an ever-changing array of shoes, socks, facemasks and other accoutrements. Minnesota’s new Gold helmet and pants honors the past as it is a deeper shade of Gold – a Dart Gold – that resembles what the Gophers previously wore and is a shade that fans have longed to see again. The Gold helmet is also chrome, which again follows the theme of embracing the past to create the future. 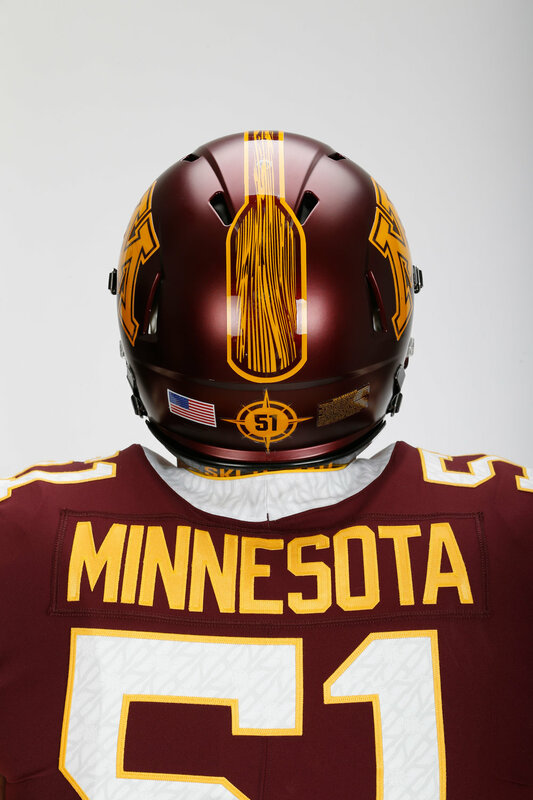 Minnesota’s Anthracite jerseys are also adorned with Dart Gold trim. A unique pattern of an oar, boat and compass are emblazoned on the jersey numbers and collar to represent the program’s Row The Boat culture. An oar also makes up the center stripe on the helmet and a compass with the player’s number inside of it is displayed on the back above the school’s traditional Ski-U-Mah cheer. The program worked closely with Nike and lead designer Josh Iverson to come up with the new uniforms. Iverson also designed Minnesota’s previous uniforms, which were worn for six seasons from 2012-17. 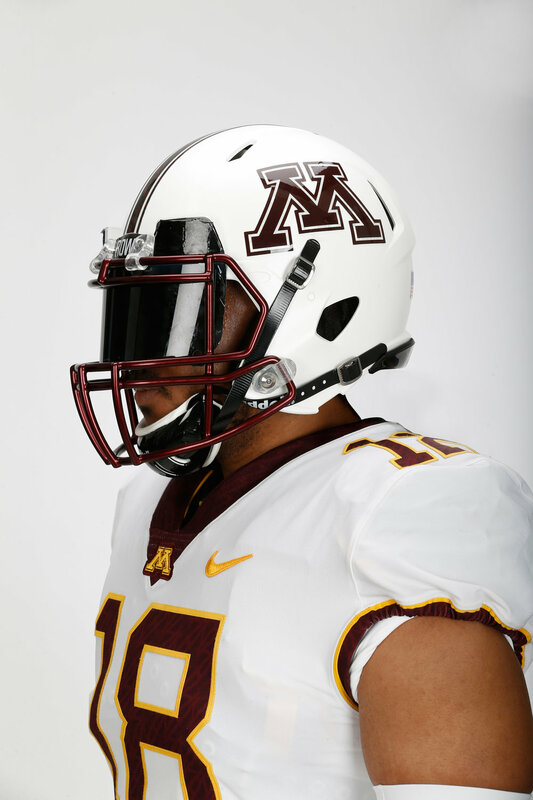 Minnesota will wear its new H.Y.P.R.R. ELITE uniforms in game competition for the first time when the Gophers host New Mexico State on Aug. 30 at TCF Bank Stadium.